Positive: Powerful hardware; waterproof; nice display; good dual cameras; decent speakers. Negative: Short battery life. Positive: Nice display; decent dual cameras; beautiful design. Negative: Low autonomy; high price. Positive: Nice display; decent dual cameras. Negative: Relatively high price; short battery life. Positive: Nice display; good cameras; decent speakers. Negative: Low autonomy; weak processor. Positive: Impressive display; nice dual cameras; excellent speakers; good price. Model: A new addition to Q series. 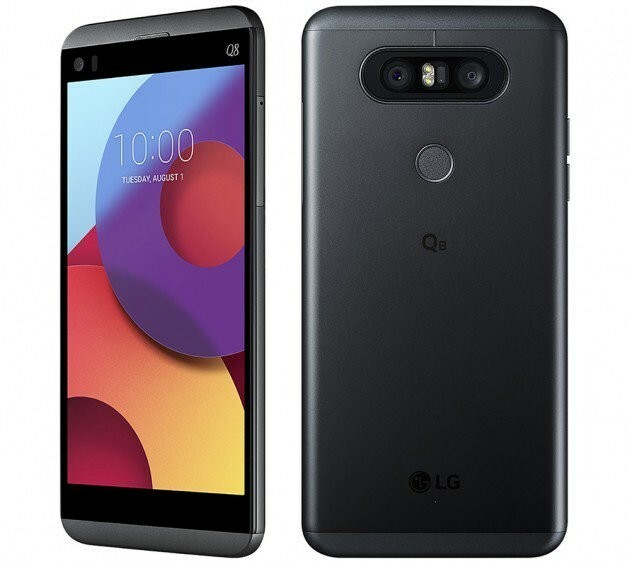 Just a little while ago LG released the Q6 model and after a very little while they are back with Q8. Yet, LG did it pretty quietly, since the Q8 is just a smaller version of the V20. Some websites also call it V20 2017 or V20 Pro. Teh LG Q8 comes with 5.2 inch display with a resolution of 2,560 x 1,440 pixels. It has a metal body and has IP67 certification, which means it is water and dust proof. It is a flagship device by any means. But let’s say a budget one. While making a decision, you can compare it to the G6 from LG. Compared to the G6, there are some minor differences in the hardware. The G6 uses a Snapdragon 821 SoC, while there is a Snapdragon 820 Soc inside the Q8. None of them is the best in their class of course, but the Snapdragon 821 has slightly higher clock rate. Will you notice the difference? Probably not. Teh Q8 also has a secondary screen, but lets say a virtual one . You can use it for quick settings, shortcuts etc. It comes with a dual rear camera, 13 MP + 8 MP and a 5 MP front camera. They both are fine. Just your night pictures won’t be that great. But this applies to almost all devices today. The video capabilities are just the same as the G6's, so you are not missing a thing. The case is made of polycarbonate, while the G6's is of glass. That is the main difference between two models. However, the G6 has a bit more technologies installed. The sensors are: Fingerprint (rear-mounted), accelerometer, gyro, proximity, compass; same as the G6's. The battery capacity is 3000 mAh. LG claims that you get 100 hours of speaking time, which is more than enough. It will cover a whole day usage. But, the battery life definitely depends on how you use your device. There is not much to complain about the device. Since it is a minified version of the V20 or lets say the G6. Every complain, criticism about them also applies to the Q8. Should you be buying the Q8? If you are not tight on budget, but decided to buy a handset from LG, you should go for the G6 instead of the Q8. Why? Well, first, it is better, second its hardware is a bit better and worth the surplus. If you are on budget and can not buy the G6: Yes, you should purchase the Q8. On the other hand, the Q8 is priced around 600 to 700$ at the time of writing. Hence, it can not be considered cheap. Therefore you better look for competitors first. Huawei, Honor, Asus… They all provide new devices and some of them are in the same price range.